Mark Stephen Chasan, Chairman & CVO - Mark Stephen Chasan is caring environmentalist who desires to see great transformation in the world. As a lawyer, Internet veteran, entrepreneur, merchant banker, healer, composer, international speaker and the author of the soon to be released book "Living in AWE - Abundance-Wellness-Enlightenment," Mark brings a wide knowledge and deep experience to creating a multi-faceted project such as AWE Prior to AWE, Mark was the Chairman and CEO of Transformative Capital, Inc., a multi-faceted strategic advisory firm focusing on renewable energy and companies that are sustainable, environmentally conscious and transformative. Mark has also been involved in digital media and technology since 1995, when he founded, as the CEO, Emusic, which became the first company in history to sell digital music and the first mp3 players online. In February 1999, Emusic merged with Goodnoise/Emusic.com and went public on the NASDAQ (NASDAQ: EMUS). Mark has been a California lawyer since 1985 and headed the law firm of Chasan & Associates, which focused in corporate, securities, entertainment, transactional and civil law until 1998. 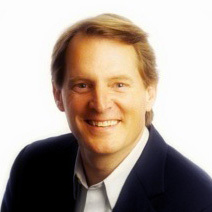 As the Chairman and CEO of AWE Global, Inc., Mark's duties include (a) development and execution of the mission and vision of the Company, (b) development and overseeing execution of the financial, marketing, branding, promotion, business and sales strategies, (c) overseeing and working with management on all operational considerations, (d) heading the board of directors, and (e) implementing corporate policy decisions and representing the interests of the investors. Ted Lieser, Development Advisor - Ted Lieser has over 10 years experience in developing and managing real estate projects that represent the best in sustainable development, historic rehabilitation, and urban design practices. Ted has a strong background in managing all phases of development including project feasibility, site analysis, design, entitlements, financing, and construction management. Ted has been actively involved in the planning, design and development of over 750,000 sq. ft. of real estate totaling over $500 million. The projects range from luxury eco resorts, clean technology business incubators and green commercial office projects to historic military-to-commercial conversions, independent high schools, nonprofit performing arts centers and mixed-use transit-oriented developments. He led the development of Cavallo Point Lodge, a 142 room retreat and conference center that includes a restaurant, spa, meeting rooms and support facilities that sits at the base of the Golden Gate Bridge in Marin County. Completed in 2008, at the cost of $103 million, the 200,000 square foot project was developed within 35 rehabilitated or newly constructed buildings spread over a 45 acre abandoned historic Army base. The project achieved the Gold Certification Standard for Leadership in Energy and Environmental Design (LEED), and has garnered a number of prestigious historic preservation awards including the 2009 Honor Award from the National Trust for Historic Preservation. Ted's other projects include: The Bay School - a 65,000 SF independent preparatory high school, rehabilitated from an historic Army barracks in the Presidio of San Francisco; The East Bay Center for the Performing Arts - a 16,000 SF educational and performing arts center catering to disadvantaged youth and young adults in Richmond, CA; The David Brower Center - a 50,000 SF multi-tenant environmental nonprofit office building in Berkeley (LEED Platinum); and Building 813 - a proposed 250,000 cleantech incubator intended to catalyze economic development, community renewal and spur the larger revitalization of the long abandoned Hunters Point Shipyard in San Francisco. 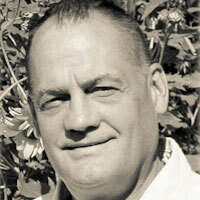 Ted received his B.A from the University of Colorado/Boulder in 1988 and his J.D. from Golden Gate Law School in 1995, where he specialized in Environmental Law and Policy. He serves on the Executive Committee of the Board of Directors of the California Heritage Council and the U.S Green Building Council (USGBC)'s Existing Building Committee. 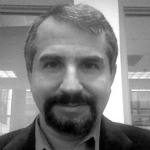 He is also a member of San Francisco Planning and Urban Research (SPUR), and the Urban Land Institute (ULI). He is a LEED Accredited Professional. Amy McDonald, Principal of Under a Tree Consulting - A 30-year veteran of the spa and hospitality industries, Amy McDonald is widely recognized and sought after as an innovator in preventive health and wellness programming and an expert in merging the best of resort hospitality and urban healthcare into integrated, profitable business models. After years of managing several award-winning properties, including the renowned Miraval destination spa in Tucson, Arizona, Amy followed her passion to create her own company, Under a Tree Consulting. Over the past 9 years, Amy has lead her team through concept development and execution bringing a greater focus on wellness and bottom line results to global brands such as Four Seasons Hotels and Resorts, Starwood Capital Group, Cirque du Soleil and US brands such ZaZa and Enchantment Group. Amy works with medical facilities to bring integrative functional design, product development Amy and specialized programming to executive health clinics, including INLIV, Peking Union Lawke Functional Medicine, Well & Being, and the California Health and Longevity Institute. Amy and her team also oversee the day-to-day business of spas that are underperforming fiscally and turn them around. Examples of this are Houston and Dallas ZaZa (urban hotel spas), Nusta Day Spa in DC, WITHIN, a day spa in Calgary and Nalu Spa at Turtle Bay Resort in Hawaii. Their team also perform confidential audits of existing spas and make recommendations to ownership that often include; leadership change, remodel and 5 year financial projections with new operational and marketing strategies. Amy identifies the goals of the business and designs the facility, products and/or programs to ensure their relevancy for the health and wellness needs of the target client, the fiscal goals of ownership, and meet the requirements, standards and regulations of each location. Clients range geographically from Switzerland, China, Mexico, Canada and United States, and are typically privately held companies with a strong commitment to preventive health and optimal aging. Her accomplishments have received acclaim in such publications as Travel + Leisure and CondÃ© Nast Traveler, while her personal expertise has been cited in O, The Oprah Magazine, Harper's Bazaar and Real Simple among others. She is also a frequent guest speaker on health and wellness trends, sustainability and merging healthcare with hospitality. Merrill Ward - CEO - Chief Enlightenment Officer - Merrill Ward possesses the rare gift of exquisitely articulating deep esoteric wisdom as well as transmitting this wisdom to his students through imagery, mythology, ontology, noetic experiences and profound metaphor. Merrill has been deeply involved is studying and teaching the esoteric wisdom of the Western Mystery School tradition and comparative world religions for over 20 years. His work acts as a transformative catalyst for individuals and groups to gain a richer and deeper understanding of their power, creativity and innate magical abilities aligning them with their true mission and purpose in life. In addition to his work as an emissary of enlightenment, magick, manifestation and spiritual awareness, Merrill is a seasoned media professional, consultant and producer in the areas of film, commercials, television, music and multi-media. It is through his mastery of imagery and communication that Merrill is able to clearly and effectively communicate, transmit and imbue spiritual wisdom and mysticism into the very fabric of life - making such wisdom practical and approachable for our individual daily lives. He has worked with numerous top entertainment companies and not-for-profit organizations including, most recently, Rogue Valley - based Land Mind Productions, Ashland's Beach Avenue Productions and Rogue Design Group in addition to internationally renowned production companies, entertainment networks and advertising agencies including The Walt Disney Co., Buena Vista Entertainment, WarnerVision Ent., CBS Television, Dreamworks SKG, Idealab, Sattchi & Saatchi, (NY), Ogilvy & Mathers (NY/LA), BBD&O (Chicago). For over 25 years, Merrill has held the vision of being intimately involved in developing and managing a spiritual "advancement center" that would provide a dynamic community environment for fostering deep personal and spiritual transformation for the individual and a collective for conscious evolutionary co-creation. He has devoted a substantial portion of his life developing the skills, knowledge and personal integration to possess the credibility to lead such an endeavor. Merrill is now devoting his passions for co-creating harmonious social networks of empowered individuals, building sustainable community and developing and implementing effective strategic models that support their growth to A.W.E. Joyous Presence, Chief Abundance Officer - Founder of Timeless Solutions and the Timeless Learning System, JP has assisted in the development process of several small businesses; JP has followed his inner knowing and entrepreneurial spirit through his entire life. JP is responsible for overall company and vision development, detail analysis and deployment. 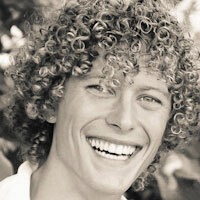 A certified Hatha Yoga instructor, intuitive body worker, activated visionary and awakened global citizen, JP is here to fulfill his two life themes: 1) Bridge ancient wisdom with modern ingenuity to inspire a timeless way of being, and 2) Inspire others to lead lives of limitless purpose, passion, and potential. JP envisioned the S.H.A.R.E. learning methodology, along with it's open-source Timeless Curriculum, and is responsible for its continuous evolution. Matt Lucas, Chief Fitness Officer - Matt Lucas is a master in 7 martial arts systems, a certified Ashtanga yoga and martial arts instructor, personal trainer, speaker plus an integrative wellness and personal development coach. 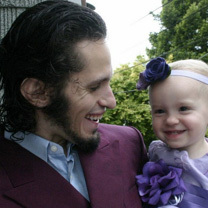 Matt has trained numerous martial arts champions, professional athletes, executives and kids. Matt began his martial arts career from the moment he could walk. Matt's first mentor, his father, was a highly trained war hero with Naval special forces in the Korean War and Vietnam wars. Matt became the National Champion of The World Tae Kwon Do Federation in 1990 and became a master and teacher in Toas Nabard Kung Fu, a rare Persian combat system in 1997. Matt has continued to expand his mastery of many martial arts styles including Systema, Bagua, Ju Jitsu, Aikido, Muay Thai, Shotokan, Wing Chung and Filipino Kali. As Matt grew in age and wisdom, he learned many ancient healing systems and spiritual philosophies including Tui Na, Qi Gong, Thai massage, Ashtanga Yoga, postural and bone alignment, balancing, strength and flexibility training and energy healing. He used this ancient wisdom as a foundation to create an integrated wellness system to heal his own childhood health problems, which included bow legs, swayback, scoliosis, severe joint pain and vertigo. Matt has combined his long experience to create a unique holistic, ethical and integrated system of optimal wellness and living called "YAMAS" (Yoga and Martial Arts System). YAMAS provides practitioners with optimal health, wellness, vitality and consciousness, as well as the ability to face their challenges and powerfully perform under difficult and stressful conditions. Helping to heal and prevent diseases and disorders including heart disease, diabetes, obesity, depression and ADHD. Ability to powerfully and calmly handle life's challenges. Matt is taking his lifetime of practice and study to working with AWE in providing a unique wellness and consciousness system for AWE called YAMAWE which is the integration of YAMAS applied to living a life of abundance, wellness & enlightenment. Jacqueline Chan, Medical Director - Jacqueline Chan, D.O., has ten years experience as an integrative medical doctor and is a member of the prestigious Integrative Medical Group, CLEAR Center of Health, in Marin County. Dr. Chan is Board Certified in Family Practice, Holistic Medicine, and Neuromuscular and Skeletal Medicine. She is a member of American College for the Advancement of Medicine, American Holistic Medical Association, American Academy of Osteopathy, the Cranial Academy, and the American Osteopathic Association. Jacqueline was drawn to Osteopathic Medicine because of its holistic and individualized approach that supports integrative methodologies as well as a spiritual view of health. Osteopaths receive the same full medical training of an M.D., with additional training in musculoskeletal manipulation and in a whole-person approach to consultation, diagnosis, and practice. Dr. Jacqueline Chan's spiritual journey and her interest in health are inseparable in her practice of Integrative Medicine. To Jacqueline, optimal health represents the integration of a healthy body, a peaceful mind and the highest expression of our soul's purpose. In taking a ecosystemic approach to health, Jacqueline's primary approach to wellness is to support the individual in creating optimal internal and external environments that allow the wisdom of body, mind and soul use their genius to optimize health. In addition to counseling patients in healthy living that includes nutrition, exercise, meditation plus values-based living and working, Jacqueline also utilizes the highest quality nutrients such as vitamins, minerals, and amino acids to support the body's biochemical processes as well as sophisticated diagnostics to identify other issues such as toxin build-up in the body, stress, and hormonal imbalances. Furthermore, Jacqueline utilizes cranial sacral and other techniques to support the energy systems of her patients. Peter Van Hussen, VP Development, Latin America - Peter possesses extensive experience in tourism, hospitality, real estate development and management, and government relations. Prior to joining AWE, Peter was the owner and operator of Boutique Hotel Canciones del Mar, Playa Jaco, Costa Rica for 12 years. During those years, Peter also worked as General Manager for Daystar Properties, one of the largest developers of Costa Rica. Daystar has a portfolio of over 500 condos under ownership, planning and construction. Peter's role was to oversee, manage, and expedite the development, building and, market and sales processes of Daystar. Prior to his role with Daystar, Peter's gained extensive Tourism experience spanning over 20 years, including everything from general manager, operations manager, food and beverage manager, and reception manager in the hospitality industry. 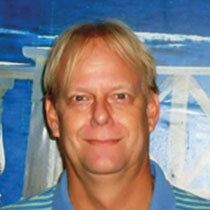 Peter also has worked in the cruise ship business for Carnival Cruise Lines as First Purser. As President of the local Chamber of Tourism , Vice President of the Chamber of Commerce for the Central Pacific region of Costa Rica, and a past member of the Costa Rican National Board of Hotel Owners, Peter has developed extensive business, government and community relationships. Moreover, Peter brings a wealth of experiences in government affairs, lobbying and politics in Latin America. Being an environmentalist and social responsible individual, Peter has coordinated many environmentally and socially responsible programs in Costa Rica with the local and central Government. Peter is currently the President for a Costa Rican trust for the conservation of the Central Pacific Region and the National Park "Coco island." Peter has lived in 5 countries and speaks 5 languages including Dutch, French, Spanish, German, and English. Also, Peter has studied at the School of Tourism in Breda Holland and also studied at the Hotel school HOSTA in Switzerland under a Cornell administration BA program and has been a marketing teacher for the Inter Americana University in Heredia, Costa Rica. John Schindler, VP Business Development & Finance, Latin America - John Schindler formed Capital Acquisition & Development in 2008 to consult, strategize and develop ways to capitalize and acquire distressed assets in the dramatically changing market. In 2009, John formed Natures Blueprint, Medical Health Builders, a specialty firm to design/build medical facilities and integrate natural Eastern Healing into Western Medical Environments, which has continued to this day. Other specialty areas include sustainable communities, on-line education, renewable energy and Superfood design and manufacturing. Previously, John was a member of the CBRE | Melody, the elite Capital Markets, Investment Banking and Mortgage Banking division of CB Richard Ellis and Trammell Crow, focusing on financing debt and equity as well as providing feasibility and advisory services for large-scale investment properties, portfolios, medical campuses and mixed-use developments. He brought a diverse skill set to the Capital Markets Group with fundamental real estate knowledge of multiple property types, experience in asset management, project feasibility, underwriting, structured finance, debt and equity origination, investment banking, use of tax credits and public subsidies. Mr. Schindler entered commercial real estate in 1978 in San Diego at the age of 18, and immediately became a top producer, representing developers and institutional clients. At the age of 21, Mr. Schindler was hired by CBRE (then called Coldwell Banker CRES) to help grow a new office in New Orleans, where he became the senior industrial brokerage expert, focusing on industrial development, oilfield service companies, distribution facilities, ports and foreign trade zones. Mr. Schindler was consistently one of the top producers, earning the office's Salesman of The Year Award in 1986 and runner-up in 1984 and 1985. 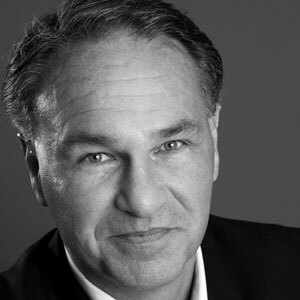 Bill Reed, AIA, LEED - An internationally recognized practitioner, lecturer, and leading authority in sustainability and regenerative planning, design and implementation, Bill is a principal in Integrative Design, Inc. and Regenesis. These organizations are transforming environmentally damaging developments and practices into environmentally and socially conscious habitats and communities that result in ecosystemic thriving. Bill's work centers on creating and implementing a whole and living-systems integrative design process. The benefits of this process include higher efficiency, lower costs, reduced waste, faster time to market, and the realization of exponential value to the social, ecological, financial and human qualities of a project, the community and its ecosystem. Bill is an author of many technical articles and contributed to many books including being co-author of the seminal work, "Integrative Design Guide to Green Building." In addition to being a co-founder of LEED and considered one of the leading thinkers in the field, he has also consulted on over two hundred green design commissions, the majority which are LEED Gold and Platinum and Living Building Challenge projects. He is a keynote speaker at major building and design events as well as a guest lecturer to universities throughout Europe, Australia, and North America including Harvard, MIT, Princeton and UPenn. John Kinney - John Kinney is the CEO of Clean Fund, a specialty finance firm focused on Property Assessed Clean Energy (PACE) bonds with a $250MM war chest to complete energy efficiency improvements for commercial and industrial real estate owners using PACE. Prior to Clean Fund John was the CEO of Greenline Industries, the fastest growing renewable energy company in the US during 2007, and installed 15 biodiesel plants around the world. In 2008 John became the Managing Director of Imperial Capital with a focus on clean energy companies. Prior to his renewable energy experience, John was the co-founder and CEO of two INC 500 companies, ClubSource, a merchant bank for the fitness industry and Club One, one of the top five fitness club companies in the world with over 100 locations. John is active in environmental education and serves on the board of NatureBridge and is a member of the YPO Environmental Network, and has served on a variety of other public and private boards. John started his career as a consultant with Bain and Company and as a venture capitalist with Bessemer Venture Partners. He holds a BA in Human Biology, a Masters degree in Industrial Engineering, and an MBA from Stanford University. He is married to his best friend and ClubSource and Club One co-founder, Jill Kinney, and also the proud father of three teenagers. John was a professional skateboarder in Europe and a collegiate NCAA swimmer and diver at Stanford and continues to balance life with swimming, yoga, and kite boarding. Terry Mohn, CEO of General Microgrids - Terry Mohn serves as Chief Executive Officer of General MicroGrids, Inc., located in San Diego California. The company is a portfolio development company that engineers, builds and operates clean and renewable electric energy meeting the demands of utilities, municipalities, military bases and communities. He is also Managing Partner of CleanSource Energy Partners LLC, a California company which delivers renewable energy and energy services to domestic and global markets, with offices in San Diego, Phoenix and Kitale, Kenya. The company originates, and brings together the right resources: feasibility analysis, designs, engineering and finance, to ensure project success. Their expertise in the utility, renewable energy and energy efficiency industries provides deep knowledge of solar-photovoltaic & thermal, geothermal ground source heat pump systems, combined heat & power peaking and smart grid solutions. Terry also serves as chairman of the United Nations Foundation MicroGrid Work Group and is one of seven work groups focused on "Sustainable Energy for All", that provides a global platform for practitioners to identify and address market and other barriers to the effective delivery of clean, affordable energy services for the globe by 2030. Operating in the space between grid extension and decentralized solutions, microgrids have been characterized by some as the "missing middle" in electrification. Terry continues advising the US Dept of Energy and California Energy Commission for research and emerging technologies. He worked closely with many DOE laboratories developing future energy standards. He was a co-founder of OpenAMI and UtilityAMI, now part of OpenSG, to develop requirements and standards for consumer access to the smart grid. Following these efforts, he worked on the early ZigBee HAN standards as well as Utility Standards Board's meter data standards. Terry was very involved writing and editing the GWAC Framework for Interoperability, EPRI's Intelligrid and Galvin's Electricity Initiative. 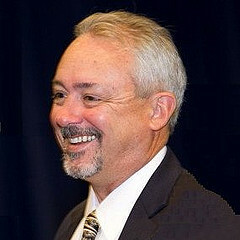 Terry was previously VP Innovation of BAE Systems energy business and Chief Technology Strategist for the Sempra Energy utilities, with emphasis on smart grid. He served two terms as Vice Chairman of the GridWise Alliance, a consortium of public and private stakeholders who share a vision and stewardship that the nation's electric system must modernize for the country to remain competitive on the world market. 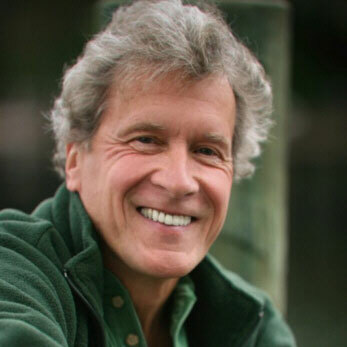 John Perkins, Author and Co-Founder of Pachamama Alliance - John's books, Confessions of an Economic Hitman and others, have sold over 1 million copies, spent 72 weeks on the New York Times bestseller lists, and are published in more than 30 languages. As Chief Economist at a major consulting firm, his experiences advising the World Bank, UN, IMF, US government, Fortune 500 corporations, and heads of state convinced him to devote his life to facilitating changes in consciousness and in social, political, and economic systems. He is founder and board member of Dream Change and co-founder of The Pachamama Alliance, nonprofits dedicated to creating a sustainable, just, peaceful, and thriving world. 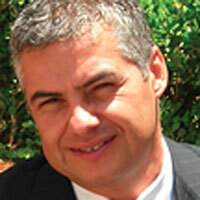 Felipe Cano, CEO of Eco & Urbana - Serves as adviser to the CEO of General Microgrids, Inc. After completing his studies in Boston, Massachusetts, Mr. Cano moved back to his native country of Colombia to work as vice-president for Latin America Regions, a business development of DRILLEXCO (a family owned drilling oil & gas company). During his history at Drillexco, Felipe mastered closing land concessions (leases) with multiple Latin American governments and private parties, garnering him with the expertise in complex polices, form-outs and lobbying. During Felipe's involvement, the company acquired over 1 MM hectares of land with a contract to drill 250 wells. Felipe's goal as adviser to the CEO of General MicroGrids, Inc. is to ensure Eco&Urbana and General MicroGrids mission statements are consistent and complementary. Mr. Cano is targeting to achieve this goal by aggregating the most talented team in the industry to co-develop company products and services which integrate smart energy education, smart mobilization and smart finance, in combination with energy software, hardware and network solutions, specifically, microgrid schemes: an open and transparent transformation of the energy industry. Shaun Paul, Co-Founder of Root Capital, Founder of Ecologic - Shaun Paul recently launched People and Planet Holdings together with Good Capital offering "whole earth returns" with blended value investments that protect and restore nature, affirm traditional cultures while creating economic opportunities for indigenous, local, and traditionally marginalized populations. He has 20 years of experience in Latin American economic development, environmental protection, and natural resource management. He is the Founder of EcoLogic Development Fund and Pico Bonito Forests LLC. He also led the incubation of Root Capital that has now lent over $330M to small and growing businesses in Latin America and Africa. Mark Spino, Chief Development Officer, The Sports Club - Mark has been involved in developing and managing health and fitness clubs for over 35 years. Most recently, Mark held the position of General Manager and SVP of Development for The Sports Club Company, a $150 million premiere health club concern. In his career, Mark has managed the Design and Construction for The Spectrum Clubs and The Sports Clubs and has held positions including Membership Director, Sales Manager, Instructor & Trainer. Mark earned his Bachelor of Arts and Masters Degrees from The University of Southern California while on a Football Scholarship. Craig S. Malina, Executive Vice President, Business, Corporate Counsel - Craig has advised the business and legal interests of companies, investors, and entrepreneurs since 1995 supporting intellectual property, licensing, and commercial needs of his clients. Craig has specialized in representing new media, technology and social impact ventures, entrepreneurs and emerging companies to accelerate and manage business growth. Craig worked for top law firms in New York and Silicon Valley as a corporate transactional attorney leading complex high value transactions including IPOs, mergers and acquisitions, joint ventures, and venture financings for a wide variety of companies, including management of global media company, The News Corporation, Fox Sports and the $2.8 billion IPO of the Fox Entertainment Group. Craig is a co-founder of iV3 Media, a social venture creating and distributing interactive media educational products and programming across multiple platforms. At iV3, Craig developed new media programs involving TV, broadband programming, and web-DVD products, built strategic relationships with corporations, government, and nonprofits, and was responsible for company strategy and managing day-to-day business and legal affairs. Dana Harrison - Ms. Harrison has 30 years experience building and managing large-scale operations, systems and communities across a variety of environments, from traditional business to alternative culture. She was an innovator in using technology to automate operations in the banking sector in the early 1980s, and, as VP of Electronic Brokerage Services at Charles Schwab & Co., was part of the team that created the electronic brokerage industry. Ms. Harrison served on the core organizing team of Black Rock, LLC for the Burning Man festival from 1999 to 2005. During her tenure at Black Rock, LLC, Ms. Harrison was the leader in charge of coordinating operations, business affairs and logistics for Burning Man and was instrumental in taking Burning Man from an unprofitable festival to a highly profitable cultural event. As an entrepreneur, Ms. Harrison founded and headed The Oakland Noodle Factory, and worked with the City of Oakland to create a low cost live-work and performance art space for the creative community of San Francisco Bay Area. The Noodle Factory created a space that coalesced the performance art community and created an opportunity for creative expression by urban youth. Concurrently with the Noodle Factory, Ms. Harrison founded and became the Executive Director of Planet Care, a 501(c)(3) providing health and human services support to Burmese refugees, and provided strategic leadership and event management for a non-profit working to develop competitive governmental systems. Ms. Harrison's expertise is translating strategic goals and values into tangible objectives, building enthusiastic tactical teams and maintaining focus on the financial budgets and deliverables. She is known as a proven problem-solver, operational innovator and mentor, and is excited to be contributing her skill and experience to the AWEdacious goal of building transformative communities for a thriving planet. Kevin Danahe - Described by The New York Times as the "Paul Revere of globalization's woes," Dr. Kevin Danaher's analytical expertise, sense of humor and blunt eloquence make him an exceptionally dynamic speaker. Since co-founding Global Exchange in 1988, Dr. Danaher has spoken at hundreds of universities and for community organizations throughout the U.S. Dr. Danaher is a Founder and an Executive Producer of the Green Festivals, two-day events bringing together hundreds of green economy companies, social justice and environmental organizations, speakers, live music, organic food and drink, and tens of thousands of attendees hungry for a transition to the green economy. He is also the Executive Director of the Global Citizen Center -- a permanent Green Festival. The Global Citizen Center is planned to be a downtown San Francisco building that will unite the local Green Economy in a mixed-use, multi-tenant facility featuring non-profit offices, green businesses and multi-cultural event space. 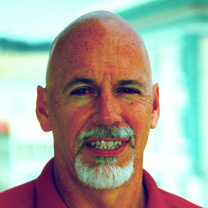 Dr. Danaher received his doctorate in sociology from the University of California at Santa Cruz in 1982. 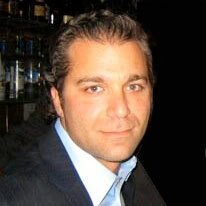 Todd Steele - Todd is a Managing Partner of Simon Equity Partners. Previously, Mr. Steele served as Chief Financial Officer for WPT Enterprises, a media and gaming company based in Los Angeles. Prior to joining WPT, Mr. Steele served as a financial executive for Sony Pictures and as Chief Financial Officer for PlanetRx.com, Inc. Mr. Steele has also served in a variety of financial and operational capacities for companies such as American Express and the New York Times Company. Mr. Steele began his career with Ernst and Young, LLP and earned his B.A. degree in Business Economics from UCLA. Jason Hobson - As a founding partner of Hobson Bernardino & Davis LLP, an AV-Rated Preeminent boutique law firm, and former Sr. Attorney at Pillsbury Madison, Jason is an experienced real estate, finance and community development attorney, with 16-years of experience structuring and negotiating public and private capital investment in "community impact" projects across the United States. These projects have utilized Low-Income Housing Tax Credits, Historic Tax Credits, Tax-Exempt Bonds, New Market Tax Credits, Solar Tax Credits, and other public tax and development incentives. Jason also developed a $23 Million Dollar "LEED Platinum" and wellness-focused residential rental community for 44 low-income seniors in the San Gabriel Valley of Los Angeles County. The project, supported by public and private funding sources, focuses on daily wellness and routine access to health care through an on-site health clinic. The wellness-focused project is the first development in Los Angeles County to target frequent users of the County's health systems in order to mitigate the County's sky-rocketing emergency room costs from uninsured and low-income residents. Patri Friedman - Patri is a socio-economic-political innovator. As founder and Executive Director of the Seasteading Institute, founded on April 15, 2008 with a half-million-dollar investment by PayPal co-founder Peter Thiel. The Institute's mission is to establish permanent, autonomous ocean communities to enable experimentation and innovation with diverse social, political, and legal systems. Prior to founding Seasteading, Patri worked at Google as a software engineer. Eric Willis - A true visionary pioneer, Eric has founded Mahalaya in an effort to usher in a new world paradigm in which we reclaim our natural inheritance of divine love, wisdom, peace and harmony through eco-regenerative and full spectrum, integral living. Combining 10 + years of experience as a serial and social entrepreneur with his lifelong dedication to the study of metaphysics and ancient wisdom teachings, Eric not only brings forth a strong vision, but a highly specialized set of skills in stewarding the manifestation of Mahalaya.